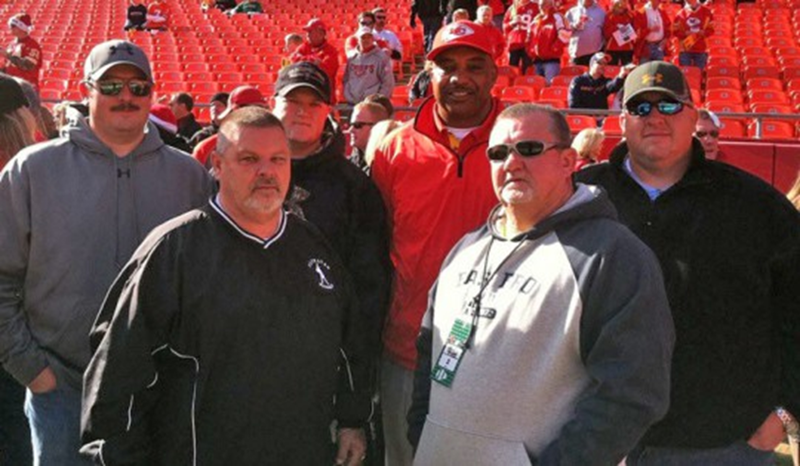 A group of North Escambia area residents were the guests of Kansas City Chiefs defensive coach Anthony Pleasant Sunday in Kansas City as the Chiefs lost to the Broncos. When the Denver Broncos beat the Kansas City Chiefs Sunday in Kansas City, several North Escambia area residents were on hand to cheer on the Chiefs. And they were cheering for defensive line coach Anthony Pleasant, a Century native. Mikey Burkett, Kenny Fehl, Anthony Pleasant, Jonathan Bondurant, Steve Stanton and Eddie Hammond started with a pheasant hunting trip in Kansas on Saturday. On Sunday morning, they were guests at Pleasant’s home before heading to Arrow Head Stadium in Kansas City for the game. After an early lead a strong defense, the KC Chiefs were unable to outlast the AFC-West leading Denver Brocos, who defeated the Chiefs 17-9. Kansas City, now 1-10, will play for that elusive home win next week against the Carolina Panthers, who are in Philadelphia on Monday night to face off against the Eagles. Pleasant, a 1986 graduate of Century High School, earned two Super Bowl rings with the New England Patriots. Pleasant was selected in the third round of the 1990 NFL Draft by the Cleveland Browns. During his 14 year NFL career, Pleasant played for the Browns, the Baltimore Ravens, the Atlanta Falcons, the New York Jets, the San Francisco 49ers and the New England Patriots. He played a total of 202 NFL games and racked up 58 sacks. 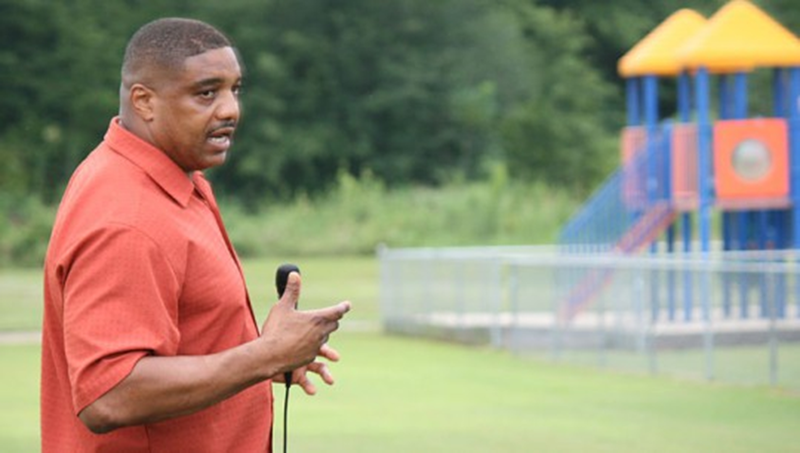 The 22-acre Anthony Pleasant Park on East Highway 4 in Century is named after the two-time Super Bowl champ and includes a full-size football field with bleachers, press box and a playground. Pleasant speaks in July 2011 at the dedication of the park named in his honor in Century.